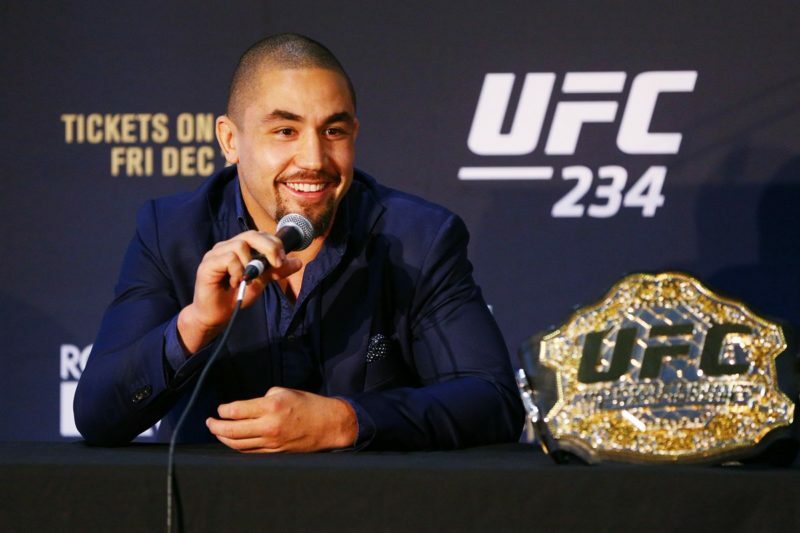 With the main event falling through at UFC 234, Kelvin Gastelum finds himself having to earn an opportunity that was hours away from his grasp; while a win over Ronaldo ‘Jacare’ Souza gave the former welterweight a chance to get the middleweight title, the introduction of the interim championship puts another hurdle in his path to become the middleweight king. 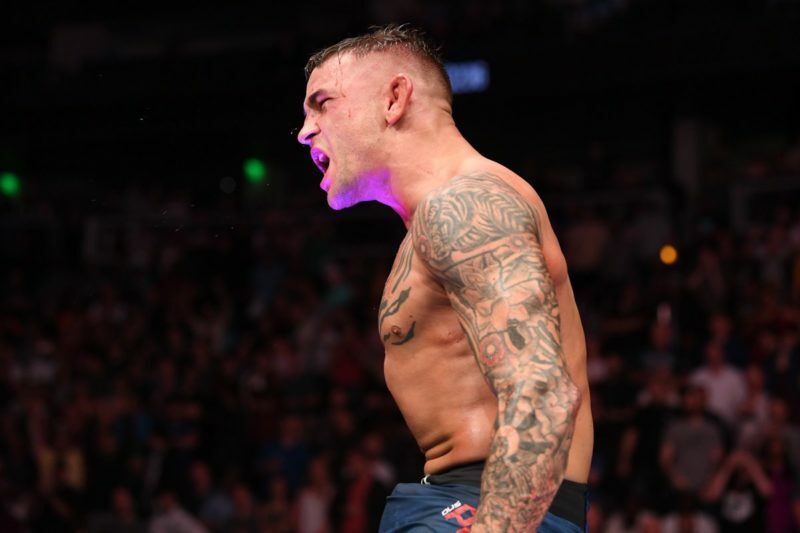 Gastelum’s recent streak has consisted of big names, but the value of each win has been somewhat questionable; the knockouts over Michael Bisping and Vitor Belfort were over diminished versions, and the Souza fight was a messy split. In Israel Adesanya, Kelvin Gastelum has a well-esteemed opponent in his prime, one who Gastelum would be the very first to defeat. For Israel Adesanya, a win at UFC 236 would be just as momentous; off a slightly shaky but clear win over Anderson Silva at UFC 234, Adesanya makes a quick turnaround to try to attain UFC gold (albeit interim) within 15 months of his UFC debut. 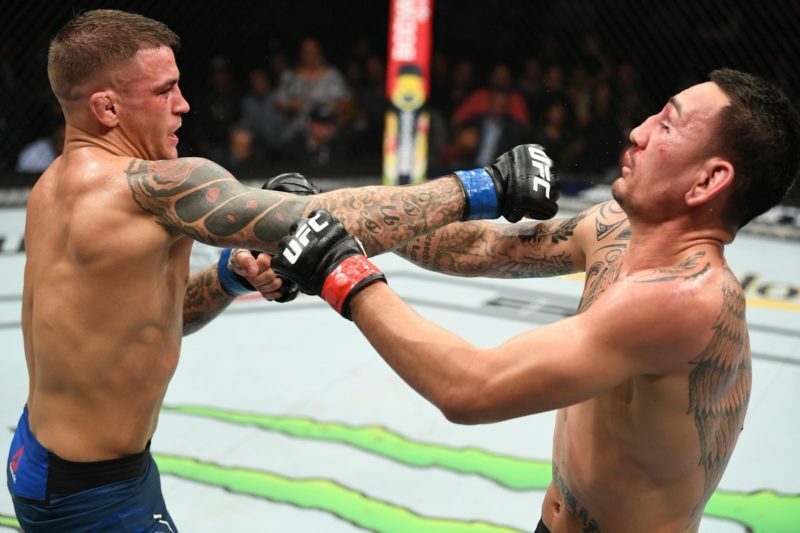 The former top kickboxer has shown rapid improvement in MMA, and his strongest days seem to be ahead of him win-or-lose; a win over Gastelum would put the professionally undefeated Adesanya on a collision course with the champion. 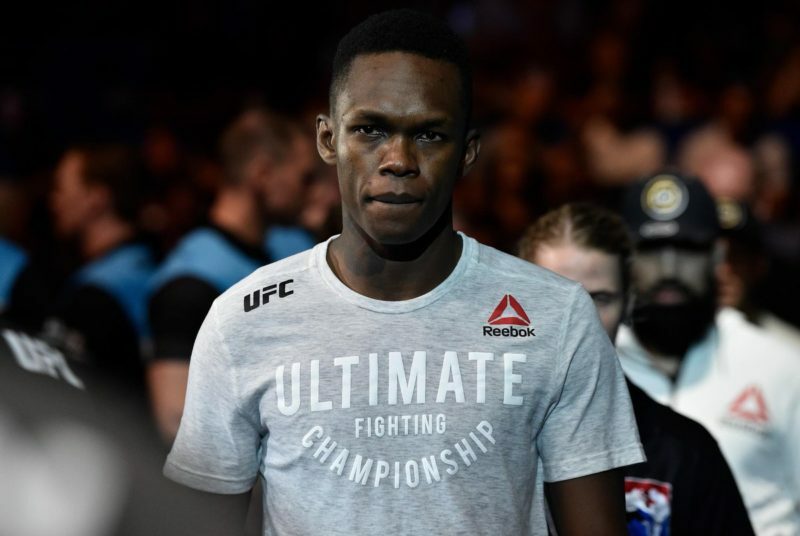 Israel Adesanya fights for the sixth time in the UFC on April 13, having reliably competed every three months since his February 2018 debut; the accelerated schedule has shone a light on his uniquely swift progression, as he went from an interesting prospect to a dangerous contender in a very short period of time. The most credentialed kickboxer to ever fight in the UFC, Adesanya has (largely) looked to be on a different plane than everyone he’s faced on the feet, and his wrestling defense is only getting better; a convincing win over Gastelum would leave “The Last Stylebender” with nowhere to go but a title unification bout. As can be expected from a former professional kickboxer, Adesanya’s strongest moments have come as a striker; not only is Adesanya one of the most offensively deliberate fighters in the entire promotion, he’s also defensively excellent at range. Adesanya’s claims that his opponents “throw and hope” where he “aims and fires” aren’t unbacked; Adesanya is not only extremely accurate when he attacks, he also has the tools to ensure that his opponent is never expecting the strike that comes next. A good deal of Adesanya’s time on the feet, in fact, is setup work; Adesanya is constantly feinting at range, not only with his hands (and with his hips, to feint kicks) but also with his feet to distract his opponent and force reactions out of them. Adesanya’s attacks build excellently off these feints; his straight punches are quick enough that his opponents don’t have the time to recover from a wrong move, and his kicking game builds off both his feints and his boxing (which essentially leaves defense a guessing game for his opponent). 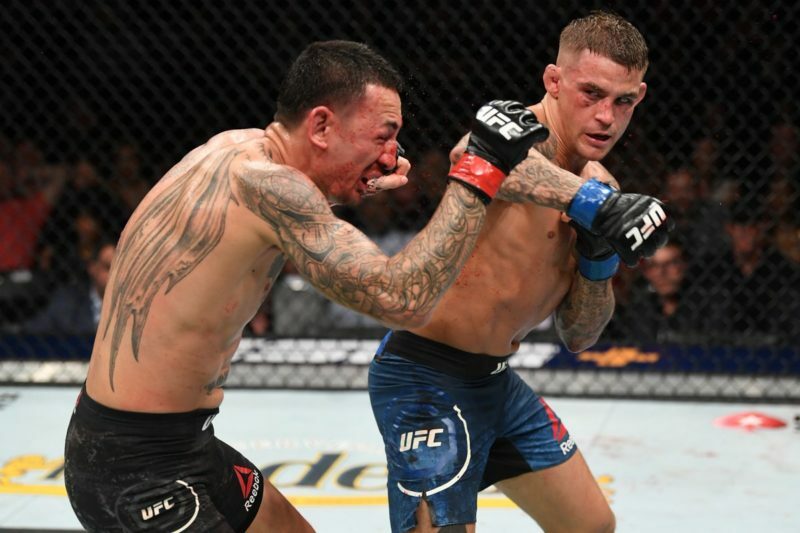 If an opponent stands at range with Adesanya, as Brad Tavares was forced to, his versatility and his intelligence as a striker leave them with very few options. That’s exacerbated by Adesanya’s defensive soundness and his ability to counterstrike, which makes rushing him fruitless at the best of times. Adesanya’s most noticeable defensive moves have been centered on his ability to frame; Adesanya can post on his opponent to keep range or to stifle his opponent’s counters. However, Adesanya doesn’t rely on the frame as much as someone like Jon Jones does; Adesanya is also able to keep his back off the fence with sound footwork on the outside and angling out of exchanges, and isn’t as helpless in the pocket as Jones. Adesanya’s pocket defense has generally looked good, as he was able to move his head well in close when Tavares tried to press in on him, but the Silva fight was a bit discouraging in that respect; Silva seemed to fluster him at points to push him back to the fence, even though the performance was largely dominant. 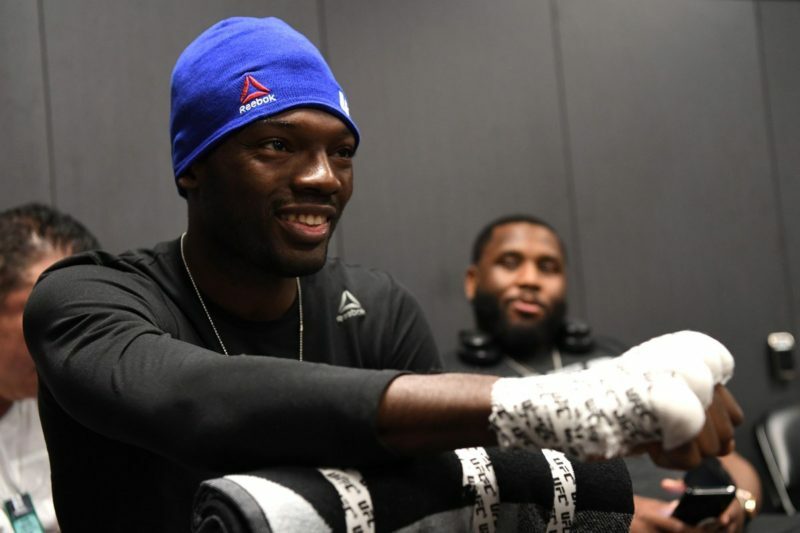 Combined with wrestling defense that looked excellent against Derek Brunson (one of the more athletic and skilled wrestlers at middleweight), Adesanya looks to be a handful for anyone. Kelvin Gastelum’s skillset is a great deal less refined than Adesanya’s, but has been tested against more accomplished opponents; this has resulted in a strong win list in juxtaposition to somewhat weak performances. 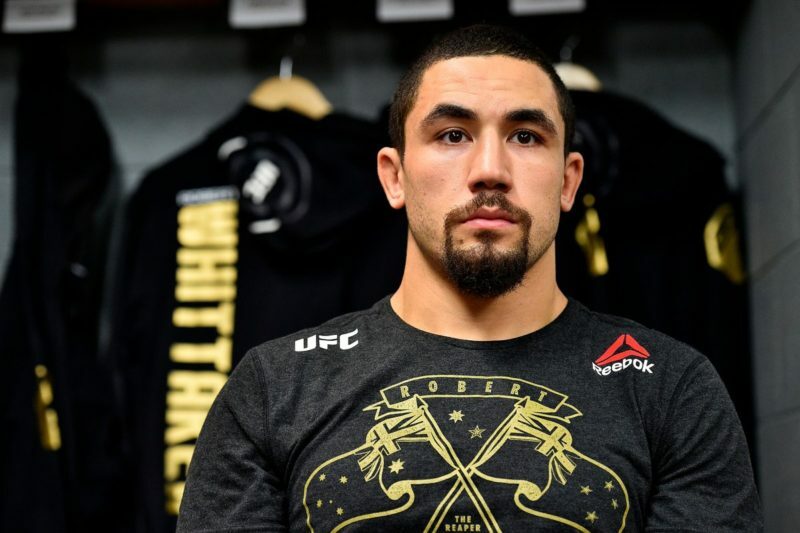 A minimalist game has worked to bring him to the top, and while it may be minimalist to a fault, it leaves him on the cusp of a title fight all the same; while he had originally gotten the shot against Whittaker in Australia, a win over Adesanya would considerably strengthen his claim to that opportunity. Gastelum’s technical striking game is essentially “throw the two-piece, and then do it again, and then again”; it isn’t particularly deep, but it works. Gastelum has the ability to modify the 1-2/3-2 to an extent, but largely doesn’t; Gastelum was able to pick apart Johny Hendricks by mixing the 1-2 with a jab without the followup, for instance, but as he’s hit the elite levels of middleweight, his game has centered entirely on his damaging straight left. The fact that it works despite being fairly shallow comes down to Gastelum’s deceptive athleticism, especially at a weight class like middleweight where there were routes to the top through declining names. Gastelum’s game relies a great deal on being very fast for the weight class, being inhumanly durable, and having the ability to keep constant output at a brisk pace (which is more uncommon than it should be at 185). The last, in particular, has been instrumental to Gastelum’s success; Tim Kennedy and Ronaldo “Jacare” Souza both found success early in their fights against Kelvin, but as they faded, Gastelum was in their face throwing 1-2s at a constant and snappy pace. If his offensive game can be accepted as workable, Gastelum’s primary weaknesses come on the defensive side (both in terms of striking and wrestling); Gastelum doesn’t have the tools to responsibly push a pace, so his durability is critical to the way he fights. That was on full display in his bout against “Jacare”; Gastelum essentially won that fight on poise, as he looked less tired and kept throwing volume despite largely walking into the cleaner shots. Gastelum’s niche used to be as a wrestler and a submission artist, which bodes well for him against a pure striker, but his wrestling hasn’t looked great at the points where it has been tested recently; most notably against Chris Weidman, Gastelum seemed to have no idea what do when Weidman was working for doubles. An athletic/size difference played a part in that fight for sure, but his inertia against the fence was concerning all the same. It says a great deal that Gastelum has found a way to win the majority of his middleweight bouts; despite his size disadvantage and despite a few blind spots technically, Kelvin has scrapped his way to the top 5 of the middleweight rankings. Even against theoretically stronger strikers like (at the time) Uriah Hall, Gastelum’s relentlessness has allowed him to shine; now facing the strongest striker of his fighting career, Gastelum’s minimalism will be put to the test. Adesanya is an extremely difficult fight for Gastelum. With his striking game being fairly predictable and not as deep as Adesanya’s, it’s difficult to see him competing at range; while Adesanya was flustered in the pocket for moments by Silva, it hasn’t historically represented a large weakness in Adesanya’s defense, and Gastelum is offensively less diverse than even the current form of Silva. Gastelum is offensively very potent, but finding a moment to leverage that against the consistent and unpredictable attack of someone like Adesanya is a big ask. Essentially, Gastelum’s chances are raw firepower against a technically stronger striker who can take advantage of his relative lack of defense, or trying to wrestle (where Adesanya is improving rapidly, given the Tavares and Brunson fights, and Gastelum hasn’t effective used his offensive wrestling in a long time). The fight isn’t a favorable one for Gastelum at all. Prediction: Adesanya via unanimous decision. This writer caps Adesanya at -300.